PLEASE NOTE! The section of the Miners Way between Glen church and the pedestrian bridge on the Arigna river is currently closed to facilitate tree felling and trail rehabilitation works. 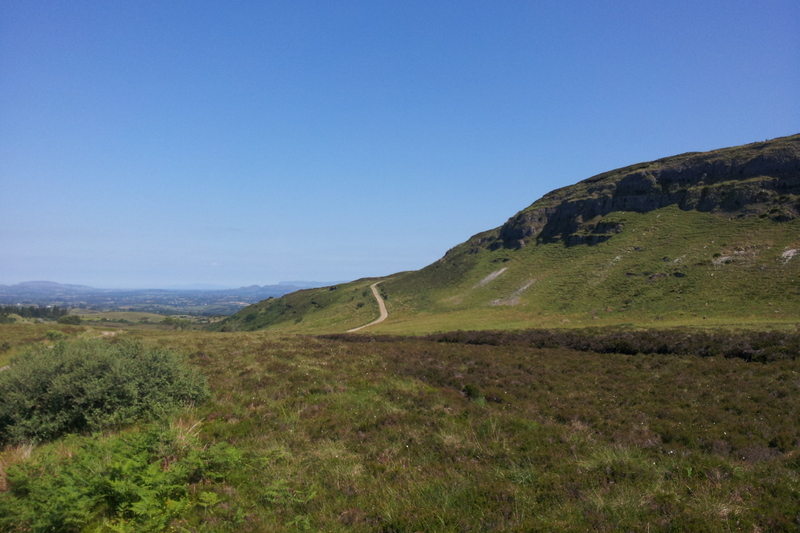 The Miners Way and Historical Trail is a long distance way marked trail which traces the route taken by the Miners through the picturesque hills and valleys of counties Sligo, Leitrim and Roscommon. The Miners Way section makes a circuit starting off from Arigna and travelling via Keadue, Ballyfarnon, Geevagh and Corrie Mountain to return to Arigna. 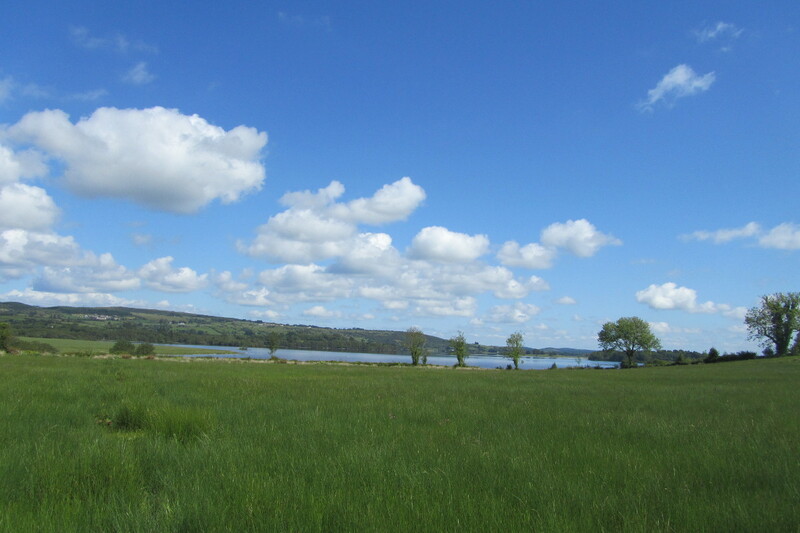 The Historical Trail runs in a great loop, leaving the Miners Way at Keadue and running to Lough Key Forest Park, Boyle, Ballinafad, Carrowkeel and Highwood, and returning to the Miners Way at Ballyfarnon. 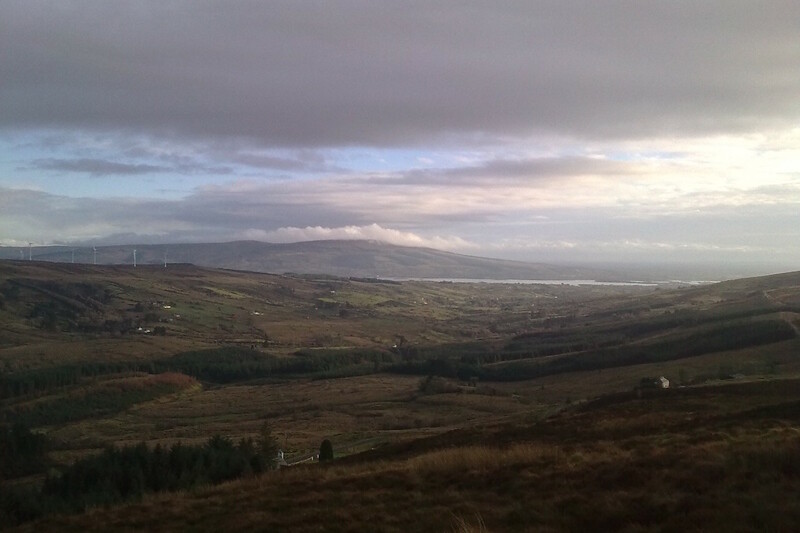 A third loop connects the Miners Way to Sli Liatroma and goes around Lough Allen by Drumkeeran, Dowra, Drumshambo and back to Arigna. Walking the entire route takes approximately 6-7 days or you can opt for more manageable sections. For the purposes of this website we are going to concentrate on the sections of the trail within County Sligo. For more information log onto irishtrails.ie. Notice: Some of the property traversed by the Miners Way & Historical Trail is private property. Access is available by kind permission of all the landowners and farmers on the route. It is understood that persons entering by permission do so with the consent of the landowner and no matter how often they enter, or in what numbers, they do not do so as of right. No amount of expenditure by the partners to this agreement or by private individuals on the route being used will alter this position. Nothing in this notice shall impact or address any pre-existing public rights of way.Dogs are not permitted on sections of the trail that cross open farmland. Click here for a short intro video of the Miners Way & Historical Trail. Description: The way leaves Boyle steeply uphill, crosses a river and then climbs steadily over the Curlew Mountains via the ancient Red Earl’s road. Prior to entering the forest, the route is not immediately obvious and care should be taken. 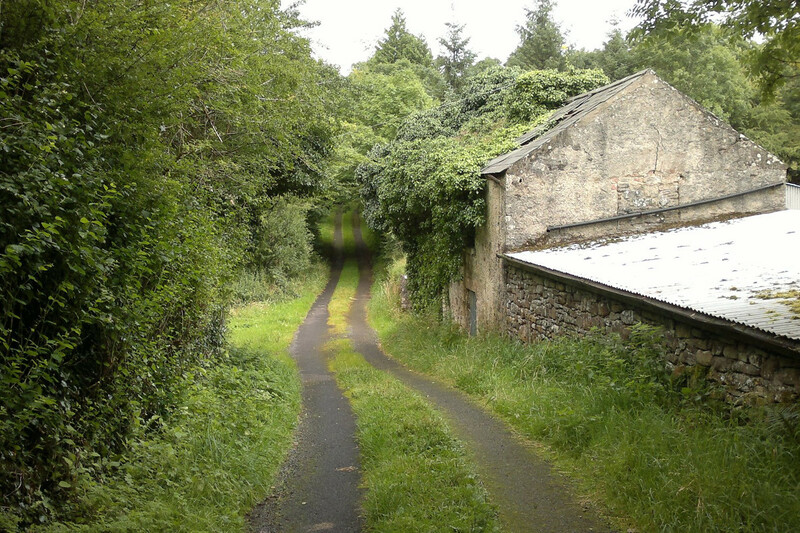 The trail passes through a woodland section before joining a quiet country road which leads down to Ballaghboy. The Route: From the end of the Red Earl’s road at Ballaghboy, turn left to join the public road, follow this road for approx 2km before turning right onto a narrow boreen. At the end of the road, take a right, and shortly after a left turn. Here there is the option of taking a temporary diversion to visit Ballinafad castle. Did you know? Ballinafad Castle is located on the edge of the village of Ballinafad, just off the main Dublin to Sligo road. It was built at the time of the plantations in the later 16th century, but resembles a 13th century castle rather than the type of castles that were usually built at the time of the plantations. Description: This challenging walk is the perfect way for seasoned hikers to take in the Bricklieve’s dramatic karst landscape and fascinating cairn tombs at the top. Thanks to the challenging terrain and the breathtaking surrounding scenery, this mountain walk will push you further than the average ambling woodland path. Look out for fossils embedded in the limestone rock face along the way! The Route: 10.5km – Due west of Ballinafad, the waymarked route continues up along a narrow lane to the base of the Bricklieve mountains. The trail winds its way up across the mountains. Walkers cross a cliff edged ravine, followed by a steep climb to bog terrain. 15km – Follow the bog road which drops gently downhill to the Carrowkeel Passage Tomb Cemetery on the right. This is well worth a detour. 16km – Continue to a road junction and turn right, pass the donkey sanctuary and follow the trail as it descends down through the fields below. 18km – Rejoin the public road into Castlebaldwin village. Did you know? The castle outside the village of Castlebaldwin is a fortified 17th century house. The walls of the castle are made from stones taken from a nunnery that was near the village. To hold the stones together blood from animals was mixed to sand to form mortar to help the stones stick. Description: Surrounded by low drumlin hills, this section of the Miners’ Way takes in several curious landmarks including the Heapstown Cairn. This is one of Ireland’s largest megalithic tombs. Another ‘must-see’ tomb is the so-called ‘Labby Rock’, where the remains of four Bronze Age adults and one child were discovered by archaeologists. The Route: 20km – From Castlebaldwin village, cross the N4, continue straight ahead. Follow the way markers along the public road for short period, before veering off to the right down a country lane (sign posted Fuchsia Cottage). The route cuts through some fields before re-joining the public road again just before Bellarush Bridge. 22.5km – At the Heapstown crossroads the trail continues straight ahead, but it is worthwhile taking a temporary diversion to visit the Heapstown Cairn located on the road to the left of the cross roads. 24km – From the Killadoon crossroads the route continues to the right up through the Ballindoon crossroads to Cromleach Lodge. 25.5km – Continue past the hotel, through the woodland and into the fields beyond, passing the Labby Rock on your left. Continue across a road and onto an open hillside. Take care near the 26km mark to turn left and reach the end of a road. 28.5km – Re-enter the fields on the descent to Highwood. Did you know? Black Lough and White Lough all hold stocks of pike. Description: This final section of the Historical Trail links with the Miners’ Way at Ballyfarnon. The uplands around Highwood are the site of the mythological Battles of Moytura and are also home to the Plain of Pillars. 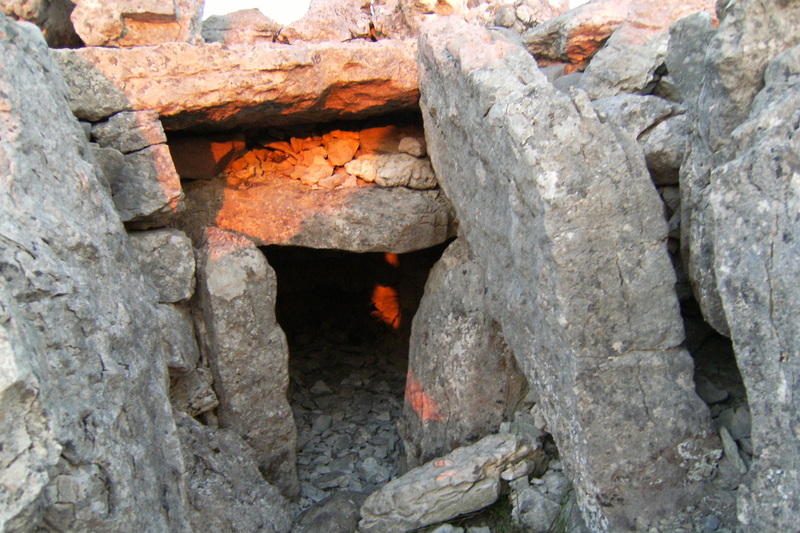 This name refers to the area’s megalithic monuments. Look out for the Eglone, a huge limestone boulder which stands out against the landscape, deposited by ice age glaciers. Called an ‘erratic’ by geographers, the stone acquired its name thanks to a local legend which claims it was dropped here by a giant of the same name. 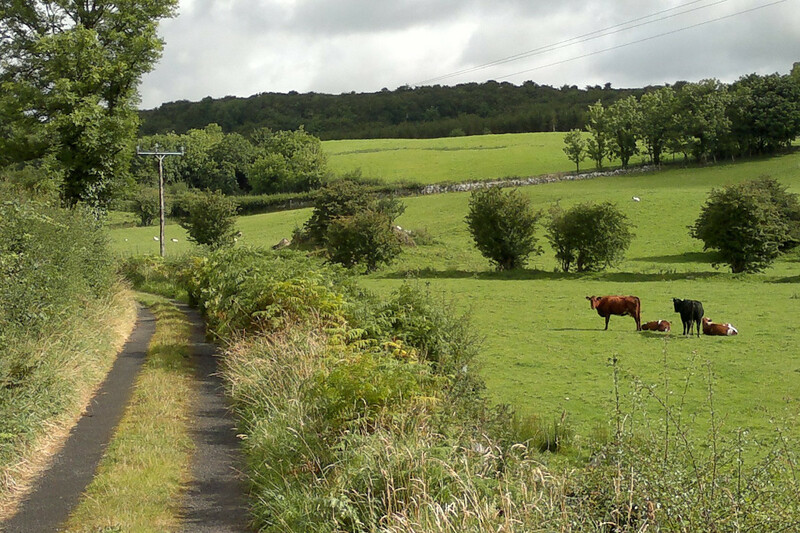 The Route: 30km – From Highwood, follow a quiet winding road past the Black Lough and the White Lough before joining the old coach road to Ballyfarnon. Follow the old coach road as it winds its way through the surrounding countryside of Carrickard and Creevagh with stunning views over Lough Skean. 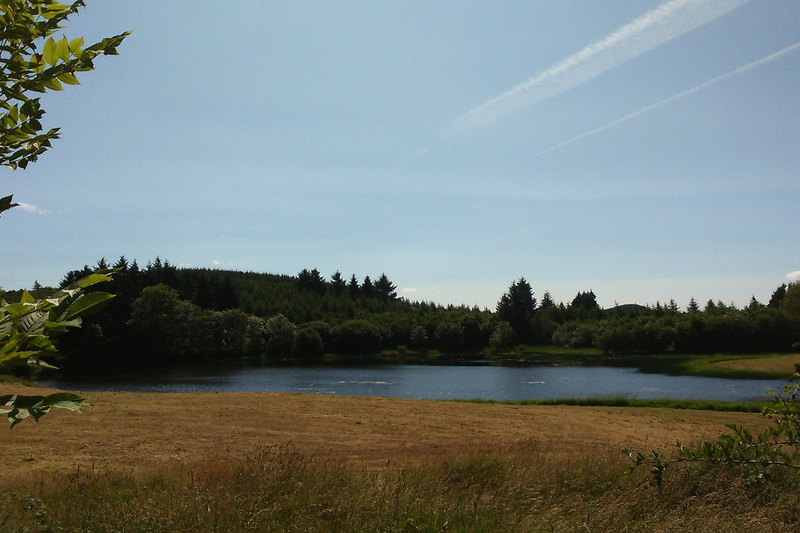 35.5km – There is the option of a diversion to Ballyfarnon and Lough Mellagh. Otherwise, turn left by a two storey house to re-join the track again. 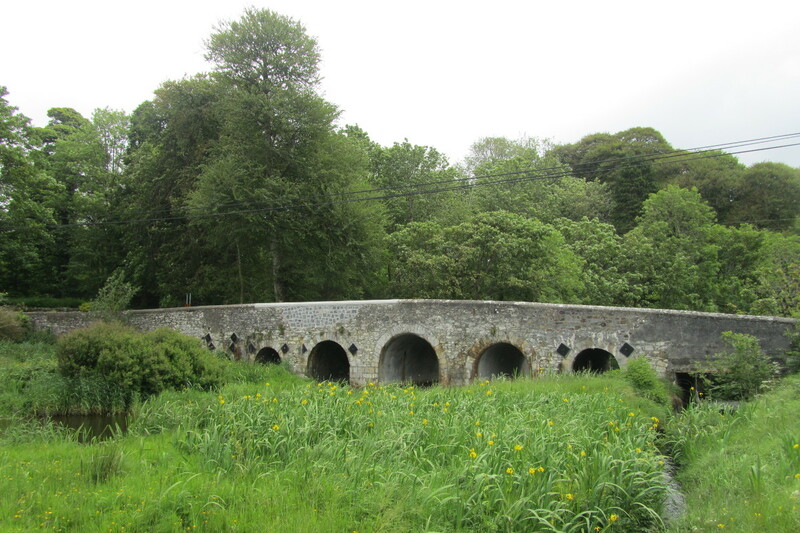 Rejoin the R284 and cross Foyogues Bridge, before turning right onto a quieter road. Follow this road as it becomes a dirt track across the Carran Hill past St. Elba’s shrine. Take care as you descend off the mountain to Glen Church.